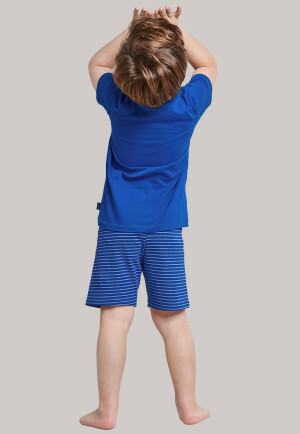 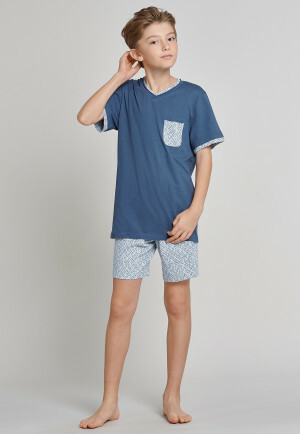 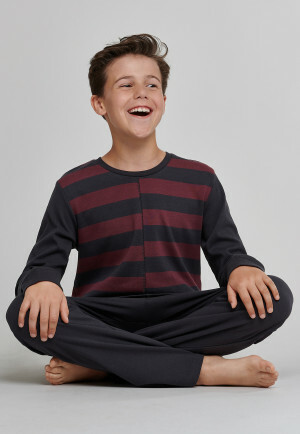 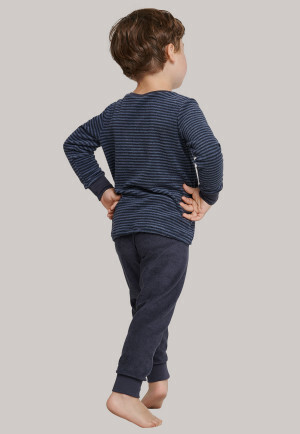 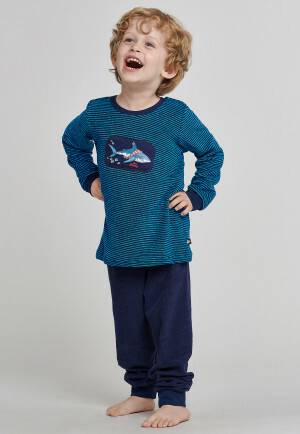 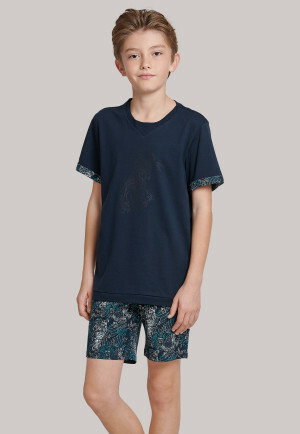 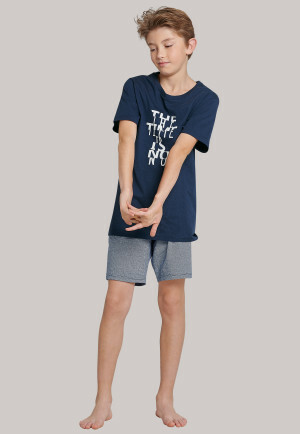 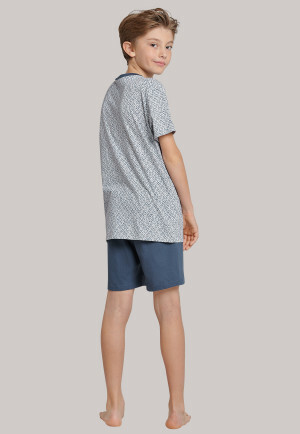 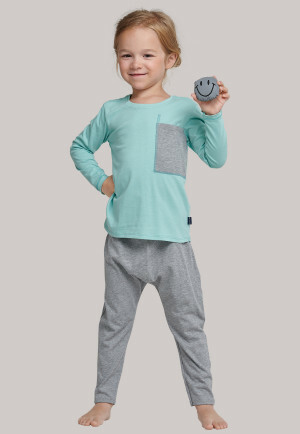 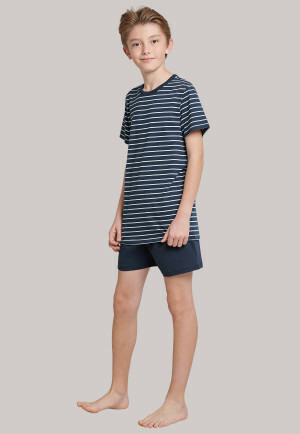 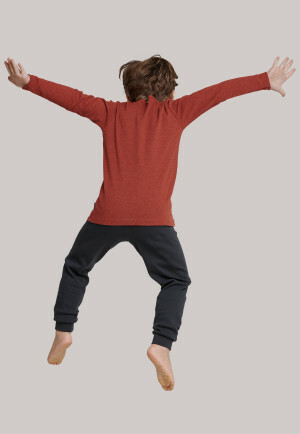 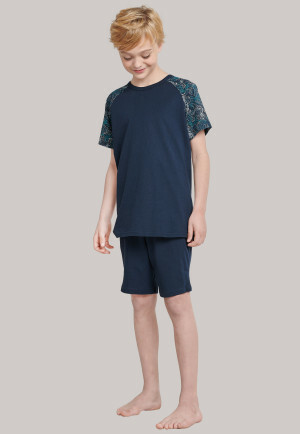 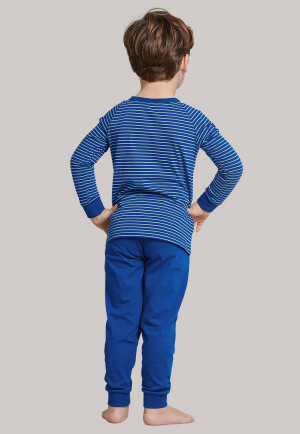 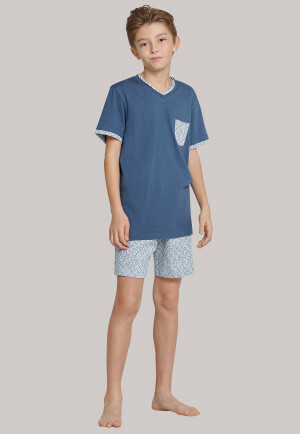 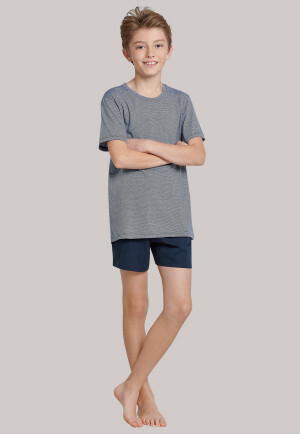 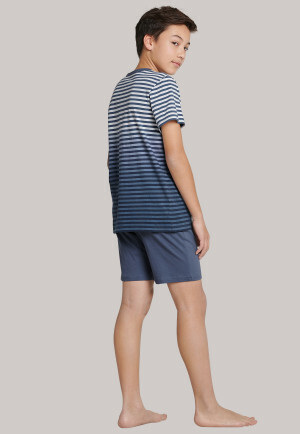 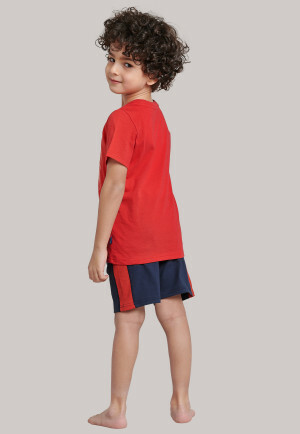 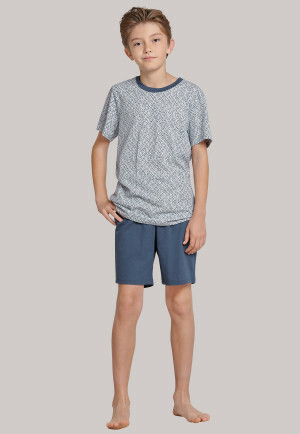 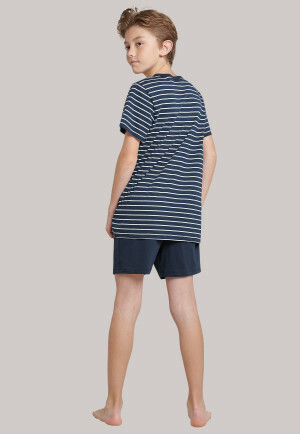 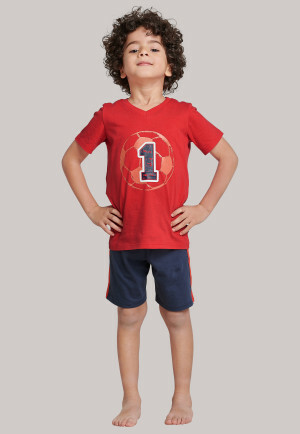 SCHIESSER makes pajamas for boys that feel good on the skin and are comfortable. 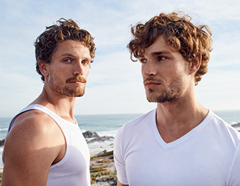 We pay attention to the high-quality processing of materials that are friendly to your skin. 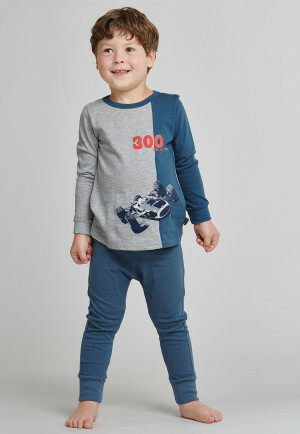 Climbing trees, carving wood, and go-cart racing. 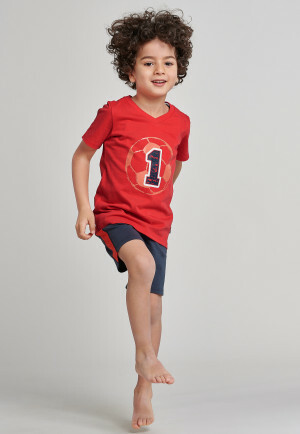 Boys are active all day long. 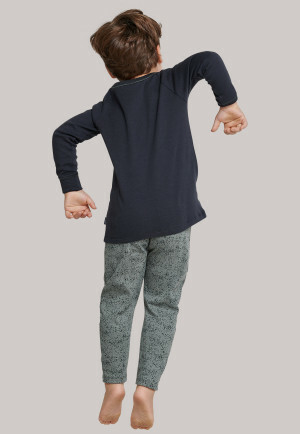 They don't seem to ever get tired. 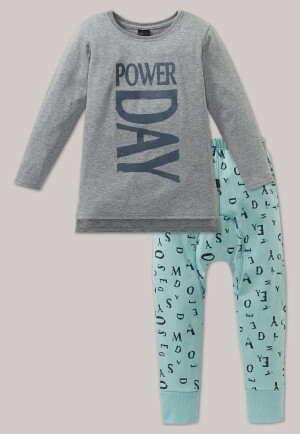 And when they do, you want to make sure that your children sleep well. 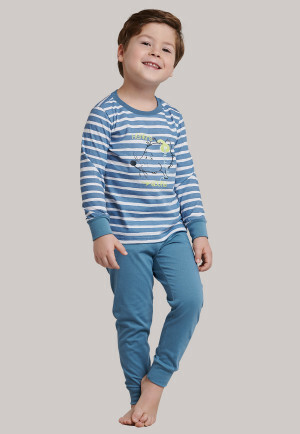 That's why SCHIESSER exclusively offers high-quality boys' pajamas made of materials such as cotton that are skin-friendly. 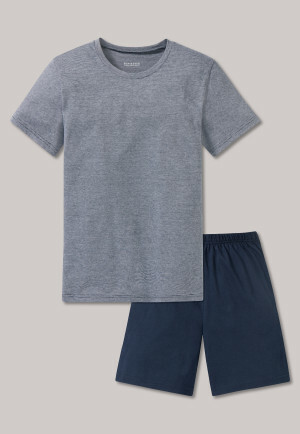 It keeps you warm on cold days and optimally absorbs sweat on hot nights. 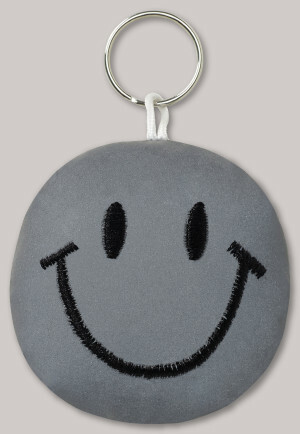 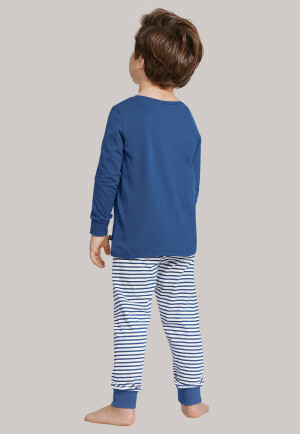 Soft terrycloth feels pleasant on the skin, making little ruffians feel particularly good. 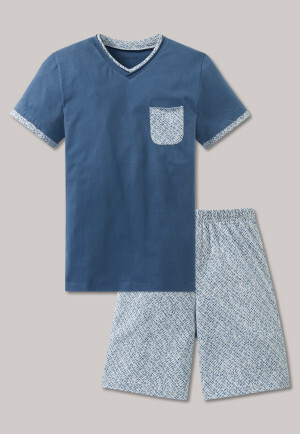 What distinguishes SCHIESSER pajamas from the rest? 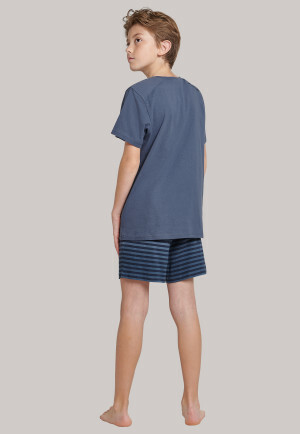 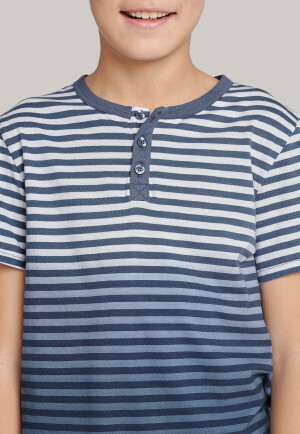 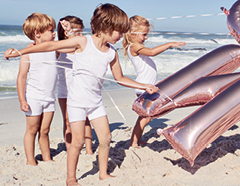 SCHIESSER uses only high-quality fabrics for sleepwear that don't diminish in quality even after many washes. 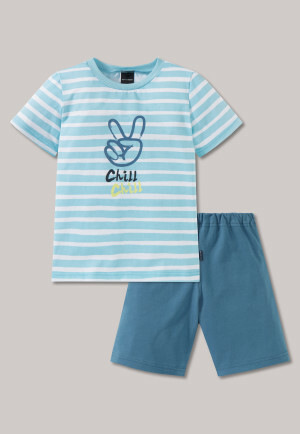 In addition, we make sure that the pajamas' designs also appeal to the boys themselves. 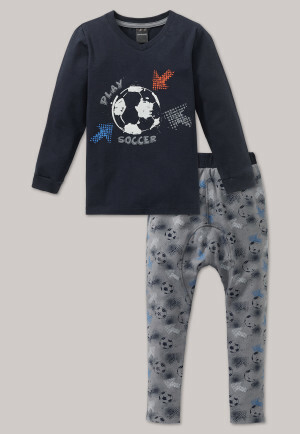 With child-friendly themes to fit every taste, ranging from soccer themes for little soccer players, to racing cars for fast racers, to solid-colored pajamas for older boys. 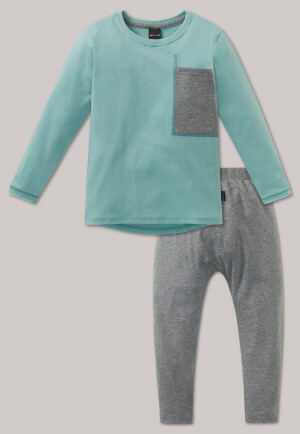 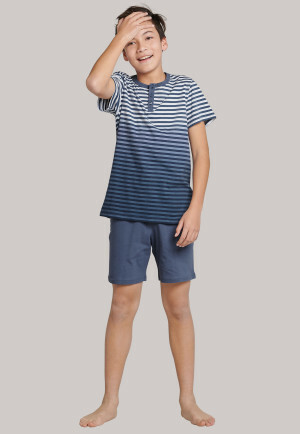 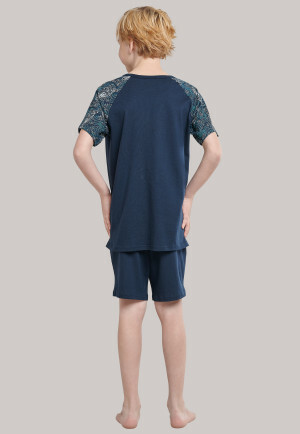 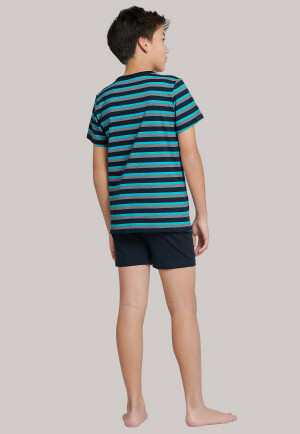 We also choose colors suitable for boys, from light blue to dark blue, gray, and green. 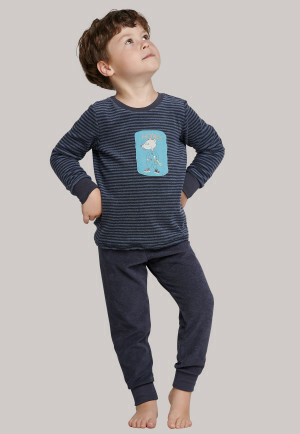 Choose pajamas for your children with or without cuffs on the pant legs or sleeves, just as you wish. 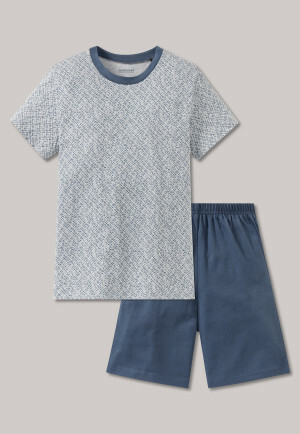 These ensure that the pajamas stay in place even during the wildest dreams and do not bunch up at night. 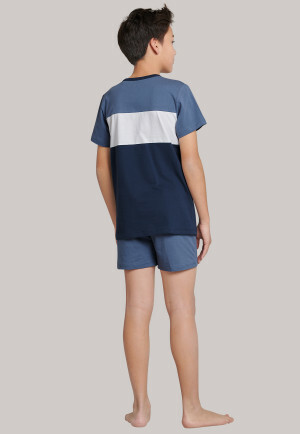 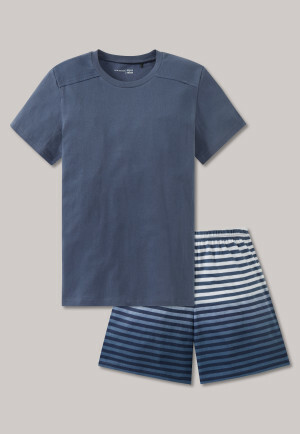 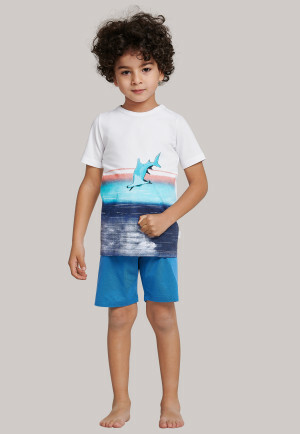 In addition to colors or themes, you also have the option of choosing between one-piece or two-piece, depending on what your boy feels most comfortable in. 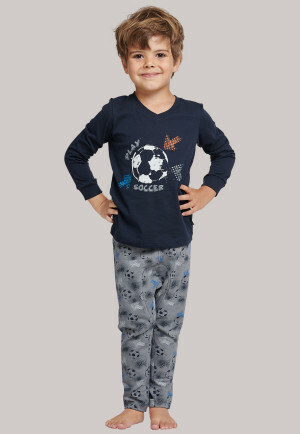 Children's pajamas are available at SCHIESSER in sizes 104 to 176 (US sizes 5 - 16) For adolescents, sizes XS to L are available. 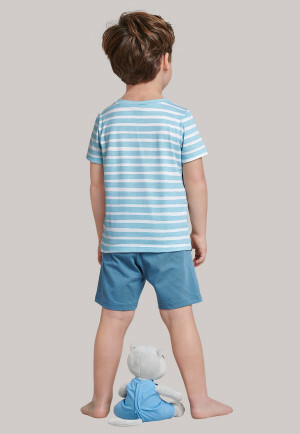 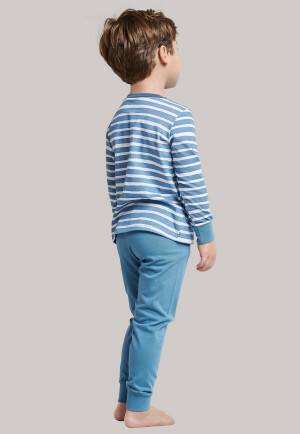 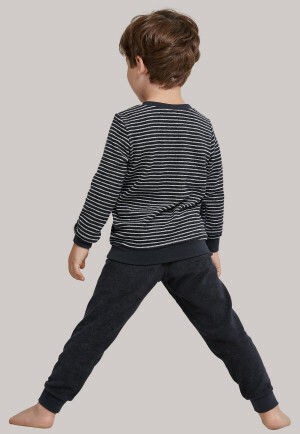 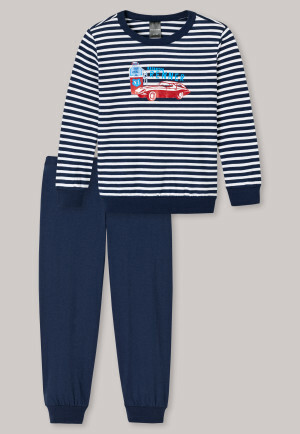 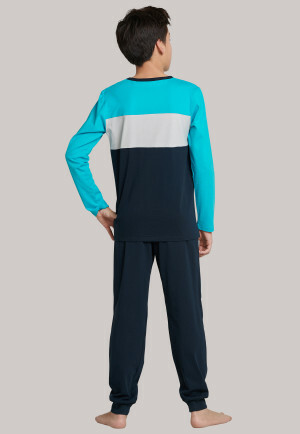 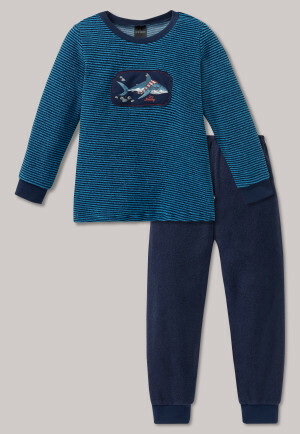 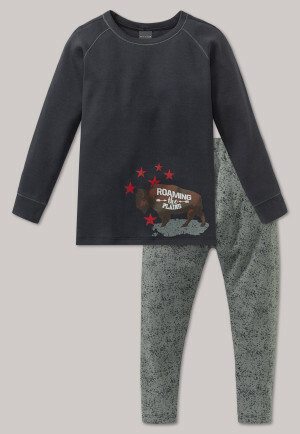 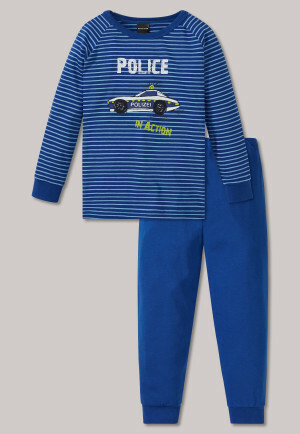 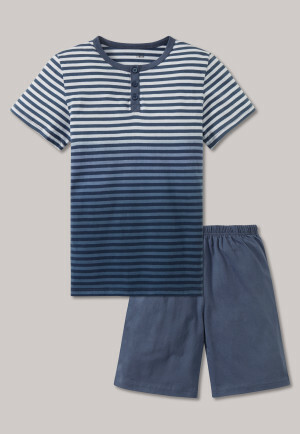 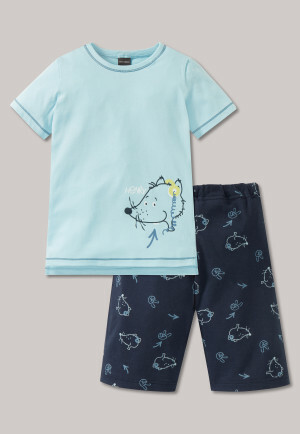 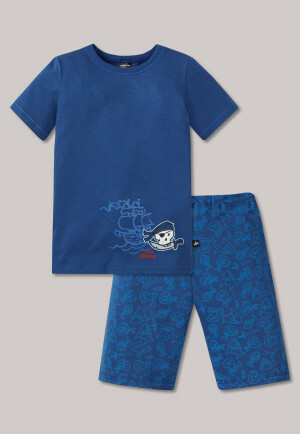 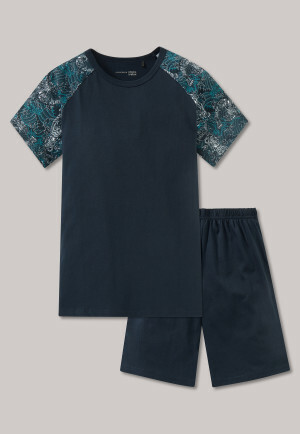 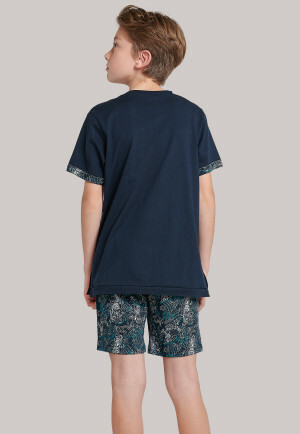 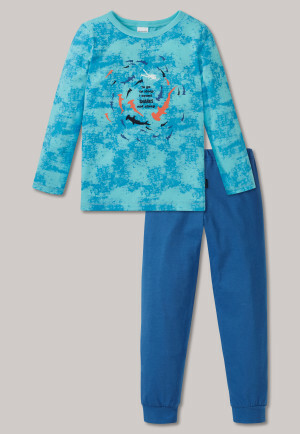 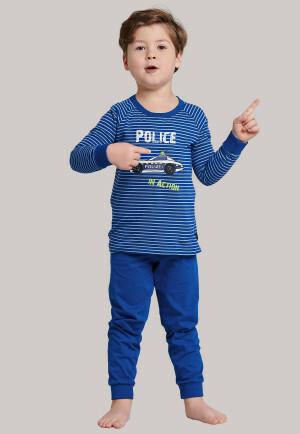 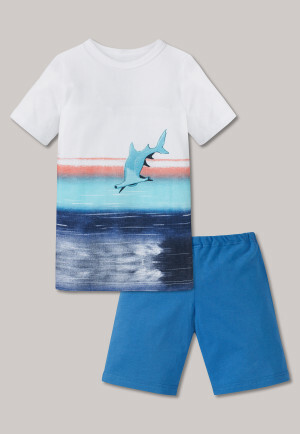 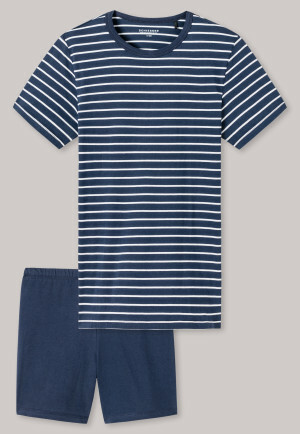 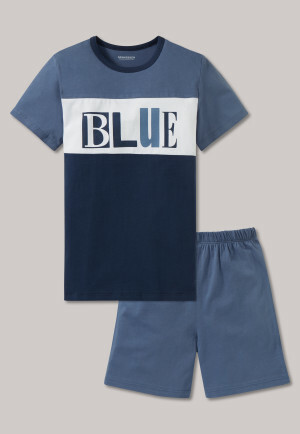 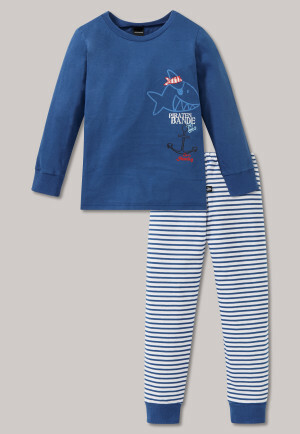 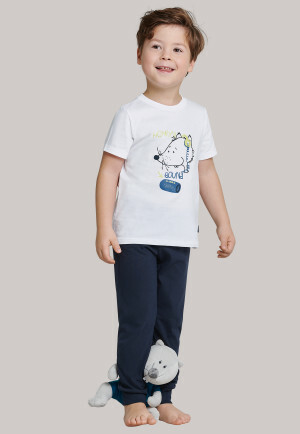 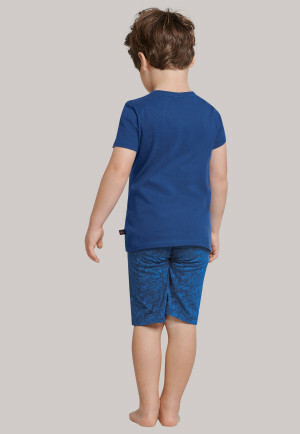 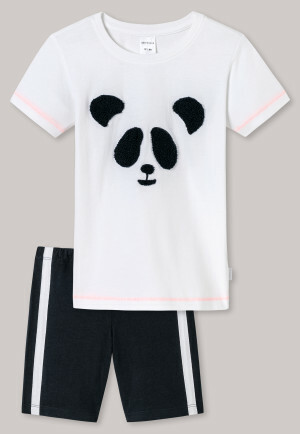 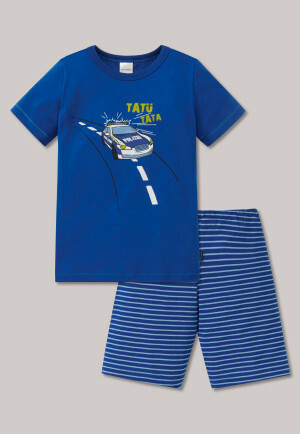 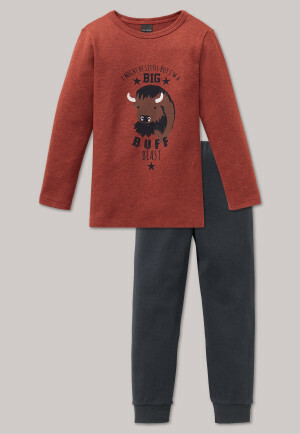 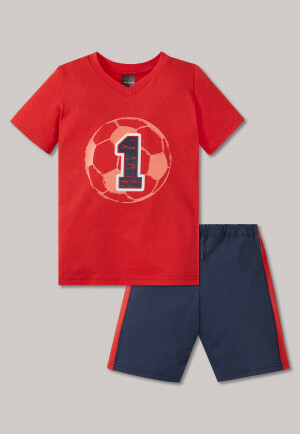 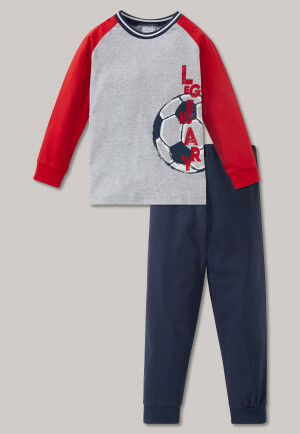 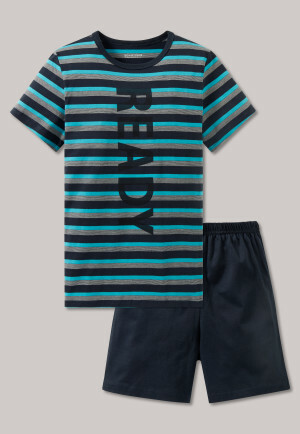 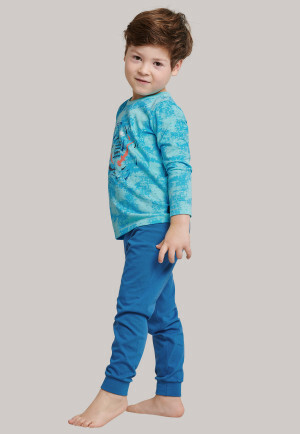 Classic pajamas for boys consist of a set with pants and matching top. 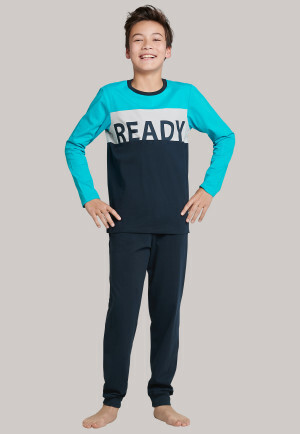 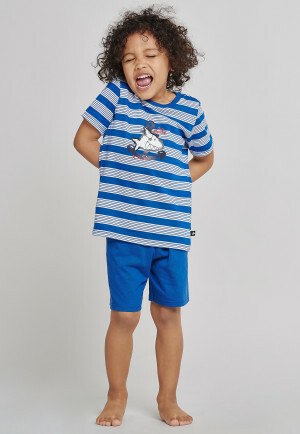 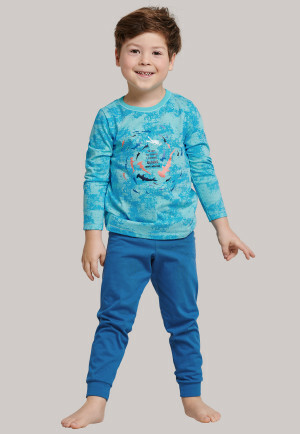 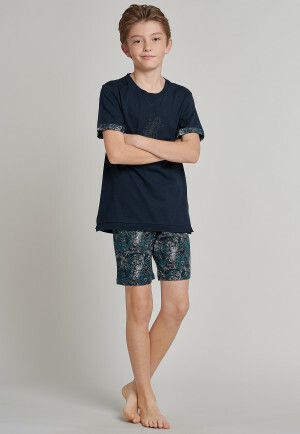 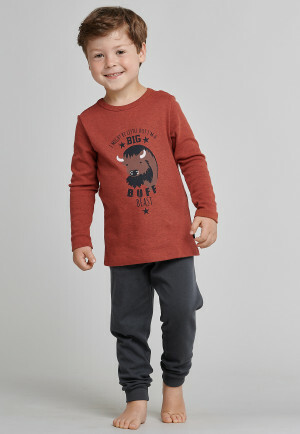 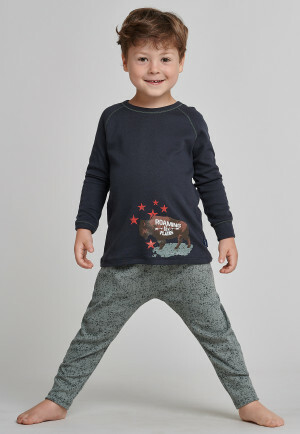 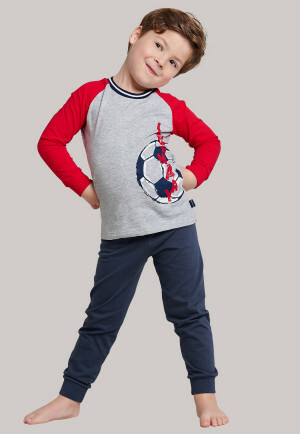 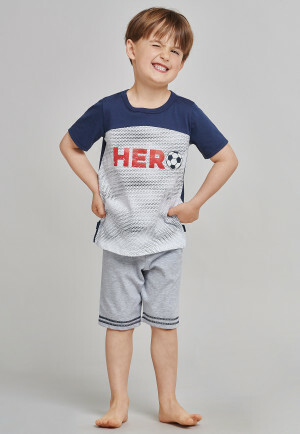 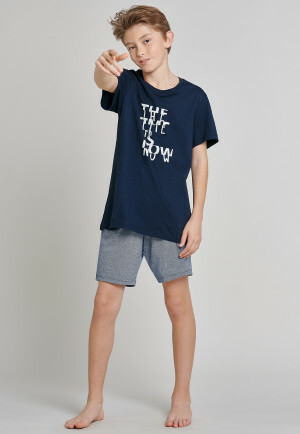 If you or your child prefer to choose pajama sets individually, you can also choose from a selection of different boys' shirts and boys' pants. 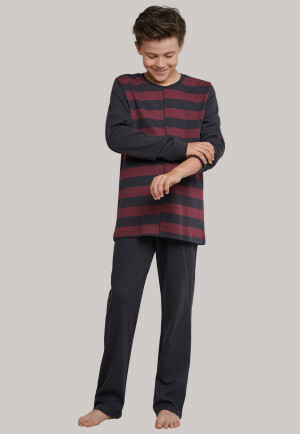 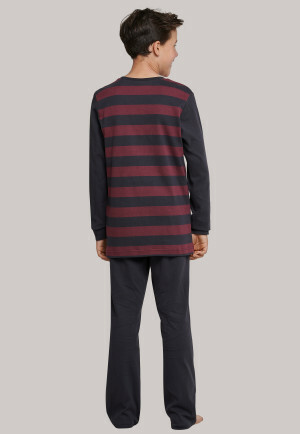 If your boy really likes cuddly pajamas, you can make him happy with one piece pajamas. 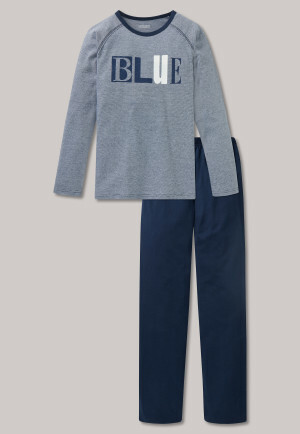 They are particularly comfortable and warm on cold days, with long sleeves and pants. 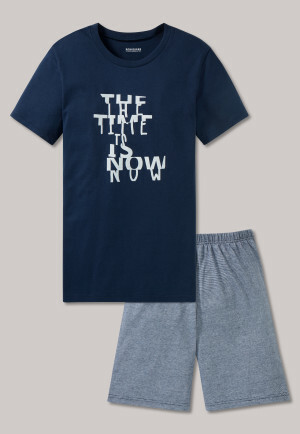 For the summer you can choose a short version. 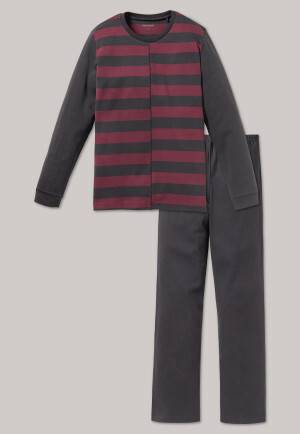 Good to know: Of course you will also find matching pajamas for girls in the SCHIESSER collection.